Our first fishing derby - a great success! 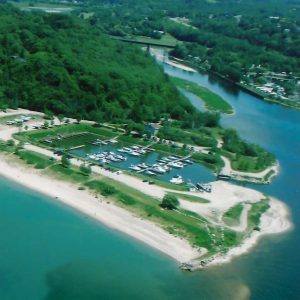 Maitland Valley Marinas & Resort Park is nestled in the quiet waters of the Maitland River, located only a few short hours from Sarnia and Port Huron. Our deep, clear and surge-free waters take the guess work out of your boating needs. Whether you join us for a night or for the season, the friendly and professional service offered by our staff will allow you to sit back, relax and enjoy everything our marinas offer. View our list of Services & Facilities. Our marinas offer a combined total of 250 slips, and we are able to accommodate boats up to 100′ in length. Additionally, we provide 30/50 amp hydro, town water and a full length dock. As well, marina customers have full access to our resort park services and amenities, including a pool, immaculate washrooms and showers, a playground and regularly scheduled events for both children and adults. Maitland Valley Marinas and Resort Park is home to the Goderich Yacht Club, a social club which hosts a variety of weekly and monthly events. We are proud to be a part of the Clean Marine program, requiring us to adhere to a high level of environmental standard within our marina. As you enter our deep river channel, you will find the first of our basins to your port, Inlet Marina. This protected lagoon is shrouded by a beautiful wood lot and 1,200 feet of private sandy beach. Inlet Marina provides a full service marina and private clubhouse for seasonal boating. It offers peacefulness and serenity in a quiet setting. View an Inlet Marina Dock Map. 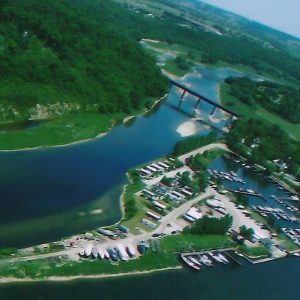 As you continue up the channel you will reach our main basin, Maitland Valley Marina, tucked away in a picturesque river valley. 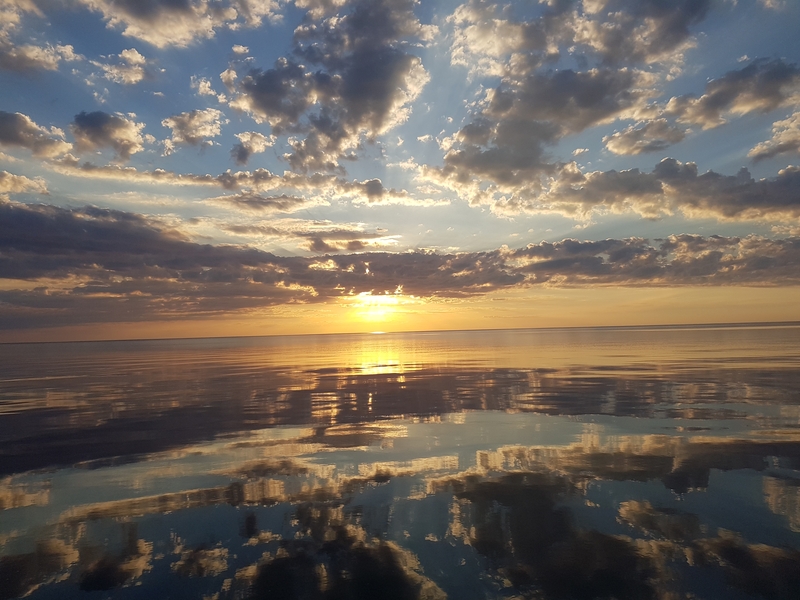 We provide a full service marina for transient and seasonal boaters including transportation into Goderich as well as The Maitland Golf & Country Club. Our Maitland Valley Marina is only a 10 minute walk from Goderich, an architecturally-rich port town. Featuring a picturesque town square and sitting on the bluffs overlooking the shores of Lake Huron, the views here are second to none. Let our staff help you to make the most of Goderich’s incredible number of recreation and leisure choices. Interested in joining us at Maitland Valley Marinas? We are currently taking names and information on our dockage wait list, for both Maitland Valley and Maitland Inlet marinas. Complete our Wait List Form and email it back to info@maitlandmarina.on.ca – or stop by in person to fill it out.